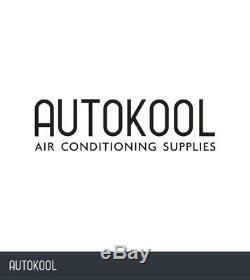 : Autokool - Specialists in Air Conditioning and Tools :. 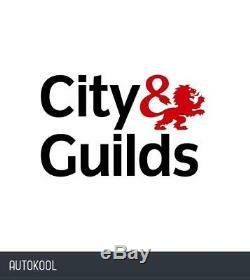 City & Guilds Training &##x21E3. Vehicle Air Con 1 Day Training. Vehicle Air Con 2 Day Training. We're rated 5/5 for service! All ready for fast dispatch. It has been specifically designed to provide the knowledge, training and qualification necessary to satisfy EU legislation in the mobile air conditioning market. It is designed for anyone involved within the automotive industry including mobile mechanics, independent garages, main dealerships and motor manufacturers and enables technicians to carry out refrigerant recovery activities in a safe, professional and legal manner. This unit can be taken on its own with no need to complete further modules. It is recognised by the UK government and meets European Commision standards 307/2008 permitting persons to handle flourinated gases which ensures they are appropriately trained and possess the "F" Gas certificate. At the time of writing this award lasts a lifetime and has no renewal stipulations. Our instructors are all City & Guilds approved and have extensive theory and practical experience within the automotive market. They are actively involved on a daily basis within the industry and can offer invaluable advice and tips to all candidates. Start up business information and marketing advice are also freely available whilst on the course. They deliver training at a speed suited to the individual candidates pace and can accommodate specific topic related requests to ensure maximum benefit and learning. This 1 Day course provides training on a Fully Automatic Refrigerant Management station only. If you require training on portable refrigerant equipment please see our 2 day course. INTRODUCTION TO AIR CONDITIONING:- What is air conditioning and its functions. THE BASIC PROCESSES:- Heat transfer, Latent heat / Sensible heat. PRESSURE:- Gauge Pressure, Pressure Gauges, Pressure/ Temperature relationship. THE REFRIGERATION CYCLE:- Compression, Condensation, Evaporation. THE REFRIGERATION SYSTEM:- Refrigerant Circuit, Components. REFRIGERANT STATE AND CONDITION:- Liquid / Vapour / Sub-cooled. LUBRICATION:- Oils PAG / Ester / Mineral. THE ELECTRICAL SYSTEM:- Compressor Clutches, Pressure Switches, Thermostats, TXV systems, FOT systems. REFRIGERANTS:- Health & Safety, First Aid, R12 & R134a. ALTERNATIVE REFRIGERANTS:- Blends, hydrocarbons, Drop In replacements. THE OZONE LAYER & GREENHOUSE EFFECT:- Ozone Depletion, Global Warming. REGULATIONS & LEGISLATION:- Environmental Protection Act, COSHH, Health & Safety at work regulations. SERVICE EQUIPMENT:- Purpose & Operation. SERVICE PROCEDURES:- Refrigerant Identification, Recovery, Evacuation, Charging, Leak Detecting. PRACTICAL EXERCISES:- Preparation & Precautions, PPE, Health & Safety, Initial Testing, Performance test / Recharge. The 1 day City & Guilds course will provide all candidates with the essential theory and practical knowledge required to competently and safely work on mobile vehicle air conditioning systems utilising a Refrigerant Management Station. It also ensures technicians, employers and employees meet their duty of care under COSHH regulations. It also enables all candidates to comply fully with current F Gas regulations in place throughout the European Union. This course is suitable for candidates looking to provide an air conditioning service using fully automated service stations. We are centrally located near to Chesterfield, Derbyshire 2 minutes' drive from the M1 (Junction 30). We have a modern workshop premises fitted with all the required tools, equipment and automatic charging stations to service automotive air conditioning systems. Several hotels and B & B's are located within the area. A full list can be provided upon request. This includes hot and cold drinks, Lunch and Full certification upon successful conclusion. All deliveries are traceable and most will require a signature so please ensure someone is present to sign for your item. The couriers will try and deliver the item twice before returning the item to us. We promise to do everything we can to ensure you receive your order within the time-frame specified. Occasionally events beyond our control may result in your parcel being delayed whilst it is with the courier and we cannot be held responsible for such delays. All items are sent using a tracked and traced service. All claims for missing items must be made within 28 days of the date of your order. First check these messages as they will indicate the status of your package. Please note that we do not dispatch orders on weekends. We are unable to upgrade or change any services. Customers should satisfy themselves that any item choice made is suitable for their intended purpose or use. We pride ourselves on our customer service. Please make sure correct details are completed prior to confirmation. We're a UK based company offering quality items at prices far cheaper than the high street. Autokool Ltd has a great reputation supplying the local garages and businesses with over 20 years experience in the motor trade. We have a great understanding of vehicles and the products we sell & can source most items for all jobs that you are likely to encounter. We do not despatch items at the weekend or over Holiday periods. We pride ourselves on our feedback record & will attempt to resolve any issues to the best of our ability. We're here to help whenever you need us. High quality products at amazing prices. You won't find cheaper prices anywhere! All stock held and dispatched from UK. We're a uk based company specialising in tools for Refrigeration repairs, Mechanics and much more. Item arrived very quickly, as described and well packaged. A+++++++, spot on, thanks, will use again. The item "City & Guilds 7543 Certificate In Mobile Air Conditioning" is in sale since Thursday, May 18, 2017. This item is in the category "Vehicle Parts & Accessories\Garage Equipment & Tools\Air Conditioning Tools". The seller is "autokool_ltd" and is located in Chesterfield.